New Year's Resolutions tend to be more honoured in the breach than in the observance but if you have, like many of us, renewed the annual vow to sort out the household finances once and for all in 2018, here are some tips to help along the way. Are you on the best available rate from your gas and/or electricity providers? If you don't know, the answer is probably no. Even if you have switched provider in recent years to avail of a cheaper deal, call and check. Introductory offers typically lapse after a year meaning you'll revert to higher unit prices than the ones that enticed you to switch in the first place. Bonkers.ie and Switcher.ie are both price comparison sites accredited by the Commission for Regulation of Utilities and have up-to-date information on the best available energy offers. Given Ireland's connectivity issues, unfortunately not everyone has the luxury of picking from a handful of competing broadband providers clamouring for their business. For those who do, savings of several hundred euro a year can be achieved on broadband and TV packages. As with most services, new customers get the best deals. If you're out of contract, shop around. Beware the advertised teaser rates promising packages from as little as €25 a month. Once your discount period expires you'll need to know what the full price is (typically €70 plus) as most contracts lock you in for a minimum 12 months. Switch in haste, repent at leisure but pick smartly and you can slash your monthly internet and home entertainment bills. For a nation that has learned hard lessons about the rapacity of the banking sector, we love to feather its nest. Stats from the Central Bank and the Competition and Consumer Protection Commission show few of us ever switch accounts, most of us pay higher fees and charges than we need to, and we have a terrible habit of leaving large sums of cash in our current accounts, earning us nothing. Make 2018 the year when you stop rewarding the banks through your inertia and make your money work for you. CCPC.ie has a handy comparison table to help you find the best current account. The Revenue Commissioners issue reminders each year telling taxpayers to check their credits and entitlements, because the evidence is that many of us (70% according to Taxback.com) leave at least some money on the table. Tax relief on medical expenses is just one frequently overlooked example. Have you incurred out-of-pocket medical expenses during the year? You may be able to claim back 20% by submitting the Med 1 form available on Revenue.ie. You can also claim relief stretching back over the previous four years. It’s hard to summon the will to compare health insurance plans, wade through the detail and determine which offers the best coverage for the most reasonable price. There are thousands of plans, many of them tailored by insurers for corporate clients and not advertised to the public. Legally, any plan that has been offered to one consumer, however, must be available to all. That means there may be one somewhere out there that will have near-identical coverage to yours but at a lower price. It’s well worth a call to an experienced health insurance broker to see what your options are. 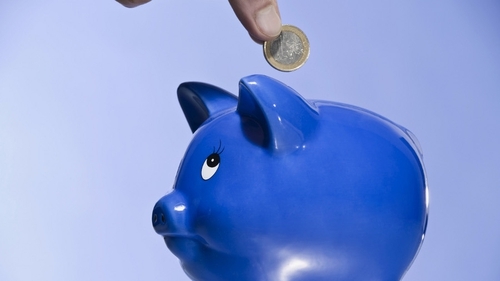 Often the savings from doing so, particularly if you have a family plan, can be significant.